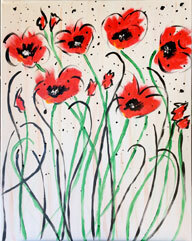 Painting your own masterpiece - fun, fun, fun! This will be the most fun you've had in a long time! 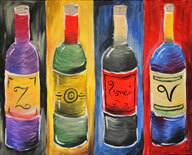 Painting with friends, sipping on spirits, and just having a great time! You CAN do it! Our artist will guide you step-by-step in creating your own masterpiece - no previous art experience necessary, and no drawing necessary - all our canvases are pre-sketched. Our sessions last between 2 and 3 hours and at the end you will have a hand-painted-by-you 16 x 20 canvas ready to hang on your wall! We can come to you or we have studio and restaurant options. Call for more info - 918-948-2163. At this time, we are specialzing in Private Parties. Occasionally we will have a special public event. Watch the calendar for public sessions. 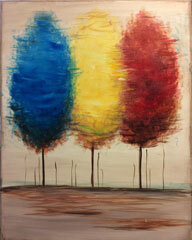 Private events in the Tulsa area start at $350 for up to 10 painters - each additional painter is $35. Price includes all supplies needed to complete a 16 x 20 canvas, and we'll have an apron for you! 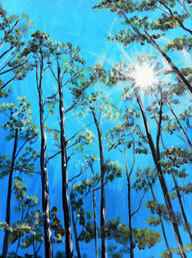 You may choose any painting from our Gallery or we can create something for you. We will come to you or we have many venues to choose from. We can come to you outside the Tulsa area too - just call for details - 918-948-2163. Kids love to paint! No mess birthday parties. We can come to you - we bring everything needed to paint. Or schedule at one of our studios. Kids' Parties start at $250 for up to 10 painters, $25 for each additional painter. Allow about two hours for painting time. 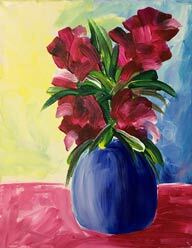 The birthday guest chooses the painting for an 11 x 14 pre-sketched canvas, and each child goes home with an awesome party favor - their own work of art! For kids aged 7-12. Teens 13 and up can book their parties too! Click the Private Events tab for more info. Yes, please make a reservation. Choose your date and sign up from the Calendar. Arrive 20 minutes early to get the seat you want and settle in. We have aprons, but just in case, wear something you wouldn't mind getting a paint spot on. There is no need to bring anything but yourself - we take care of all the supplies you need. If you're joining us at a restaurant, you will be ordering any food or drinks from the resturant. If you're joining us at a studio, you may bring your own food and non-alcoholic drinks. I'd like to book my own party - how does that work? 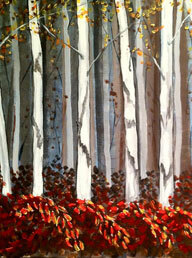 Call us to set up a private event (you get to choose your painting from any in our Gallery). A $100 deposit will hold the date for you and will be refunded the day of the party. Kindly give us 48 hours notice if you cannot attend - you may use your reservation at a future event. Without 48 hours notice, your credit card will be charged for your saved seat. Likewise, we will give you 48 hours notice if we do not have enough participants for the session (we need 10 to hold a session, public or private). 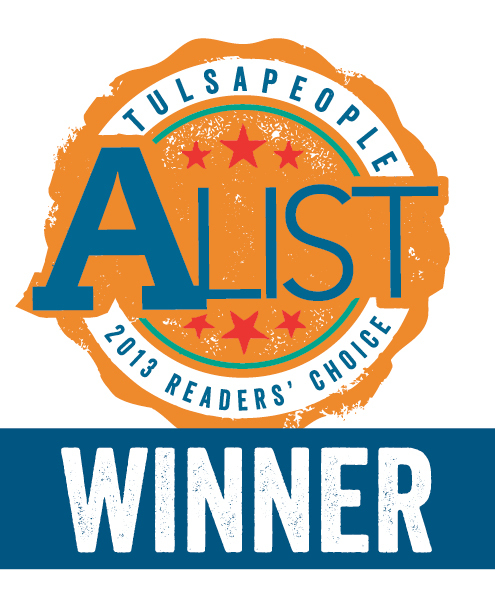 Thank you, Tulsa, for voting for us as the most fun Hands-On Art Studio! It was the best thing, we can't wait to go back. The teacher was wonderful and funny and easy to learn from. I am hooked on painting.....thank you so much. My daughter and I had a blast at the painting session and it was easier than I expected. Super fun! The leader had a ability to adjust to all levels of skill and different ages! So much fun! I am now planning a private party with them!